In 1928, just before making his last silent films, Buster Keaton moved from United Artists to MGM, a move that in retrospect ruined his career. In a very short time, he went from making immortal silent classics like The General (1926) and Steamboat Bill, Jr. (1928) – films where he had total creative control – to acting in cheap comedies. In between, he got to do one single film for MGM in his own trademark style, The Cameraman. 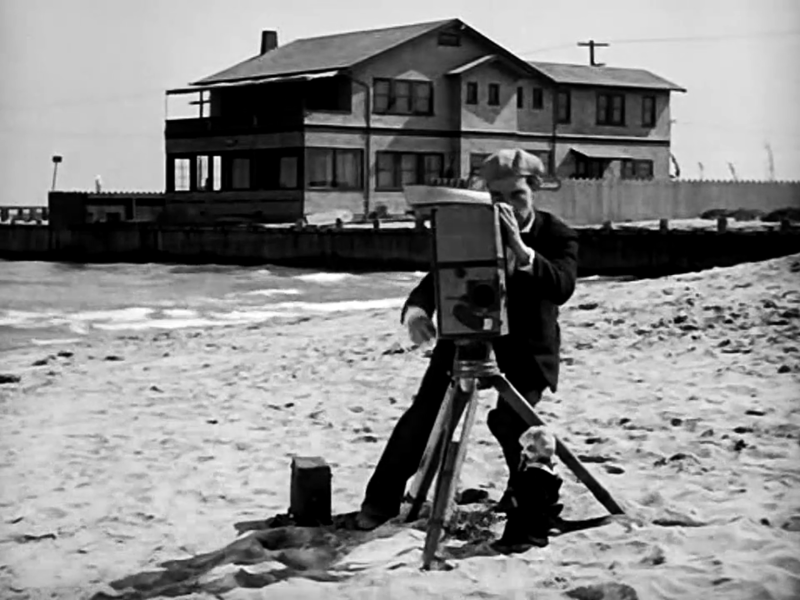 Keaton plays a still photographer who wants to become a newsreel cameraman. He also falls in love with a secretary at MGM, so he spends the rest of the film trying to impress both her and his boss. Further complications involve an ill-tempered policeman, a gang-war in Chinatown and an organ-grinder’s monkey. It is interesting to compare this film with Vertov’s Man with a Movie Camera (1929). 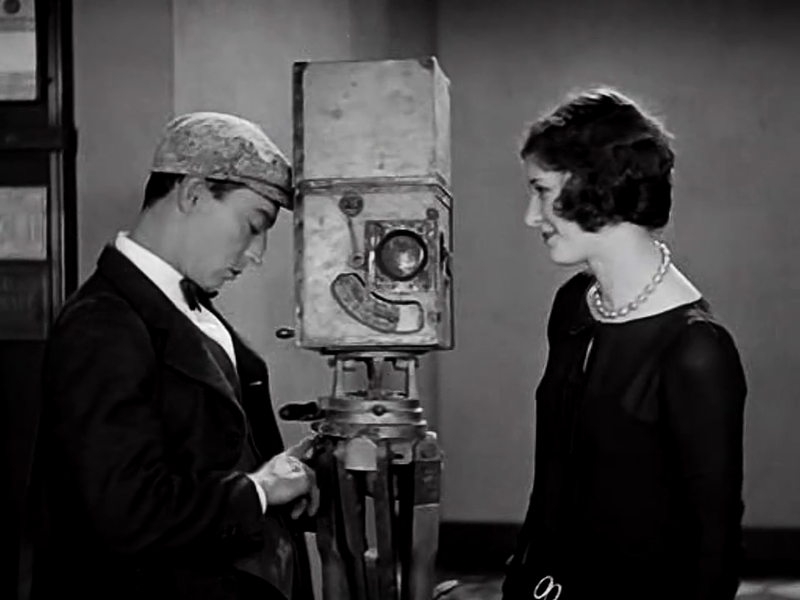 Even though they are vastly different films, they give much information about what camerawork was like in the 1920s. Note, for example, how light the cameras were. With the coming of sound, cameras had to be made noiseless, so they became much heavier. The advanced camerawork of the 1920s was not to be seen again for many decades. 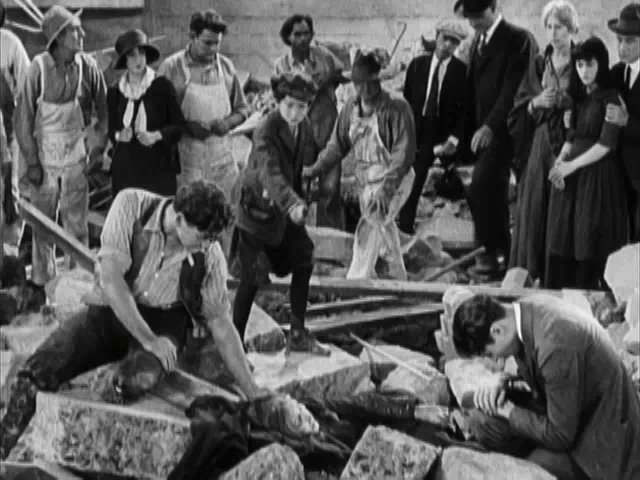 The Cameraman was co-directed by Edward Sedgwick, who went on to direct several Buster Keaton comedies. Since Keaton had by that time lost his creative control, quality varied wildly, but for instance Speak Easily (1932) is worth watching. This film is best enjoyed for its high comic and romantic values. Perhaps to an even higher degree than other Keaton films, this one features some excellent acting. In some scenes, the acting is very low-key, very beautiful, and really more reminiscent of what would be typical in Hollywood ten or fifteen years later. Those who are used to Hitchcock’s Hollywood productions will find a great many surprises among the genres of his earlier films made in England. But although very different from his “classic” suspense thrillers, these films should not be dismissed off-hand. Many show excellent qualities and you can see Hitchcock perfecting his skills. 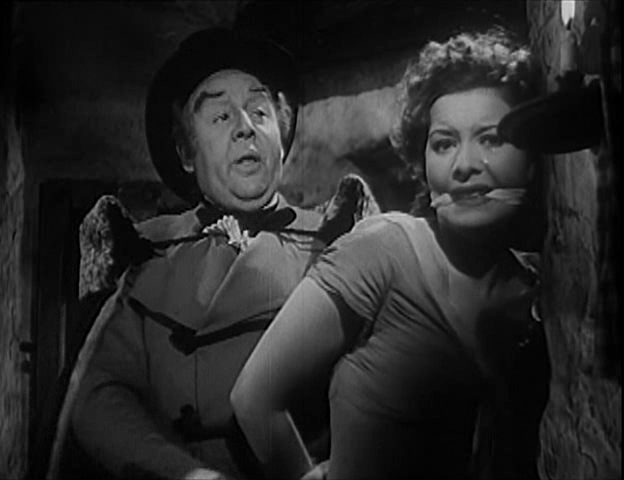 The last film of any kind that Hitchcock made before moving to Hollywood was the historical thriller Jamaica Inn. The film centers around Jamaica Inn on the coast of Cornwall (a real place, apparently still in business) which is the base of operation for a band of cutthroats and plunderers, who lure ships to run aground on the rocky shores. To this accursed and feared place, young Mary (Maureen O’Hara) arrives to visit her aunt, who is married to the innkeeper. The plot thickens as one of the gang members (Robert Newton) is suspected of taking loot for himself. From there on it is a sometimes tight, sometimes slightly contrived plot of chases, changing loyalties and secret identities. It appears that neither Hitchock himself nor Daphne du Maurier (who wrote the book upon which the film is based) liked the finished film. Certainly, it does have a number of shortcomings, but it is nevertheless worth watching. It has a dark and eerie tone which, coupled with some unexpected comic relief, gives the film a unique creepy feeling. Jamaica Inn may not be among Hitchcock’s greatest films, but regardless of what people say, it is far from one of his worst. 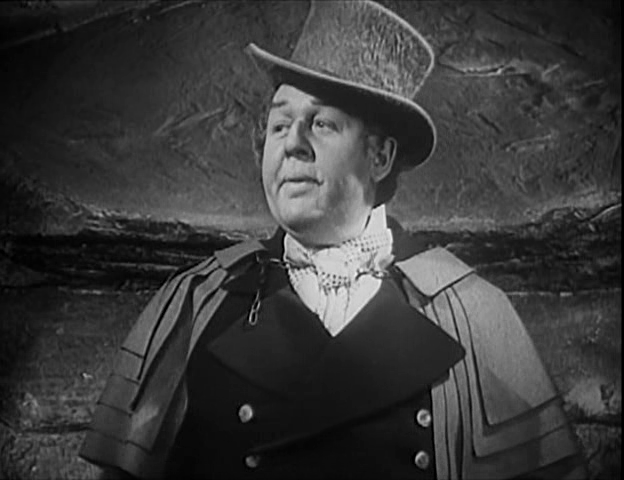 This film is best enjoyed as part of Hitchcock’s legacy, but another good reason is Charles Laughton who plays the bad guy. I have seen few films with Laughton, but I find that he is always excellent. Even though Maureen O’Hara (also good) may nominally be the protagonist, Laughton tends to take over and dominate the picture, all for the good. Other films with him at the Internet Archive include The Private Life of Henry VIII (1933) and Captain Kidd (1945). I cannot decide whether one should regret or applaud USA’s old copyright law. What it amounted to was that anything that did not have a copyright notice on it was not protected by copyright. So whenever someone forgot to put that fateful © in its proper place, that entire work automatically entered the public domain immediately upon publication. One of the victims of this was the movie Charade. 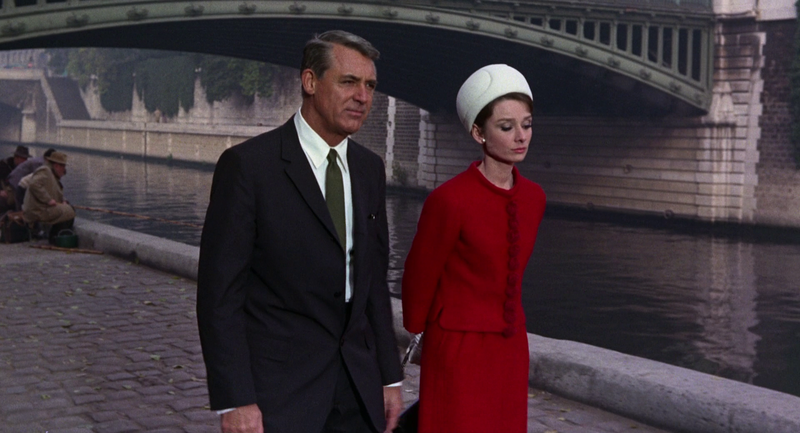 We are fortunate to have Charade in the public domain, of course, since it is a gem of cinematic art. Hollywood at its absolute best. 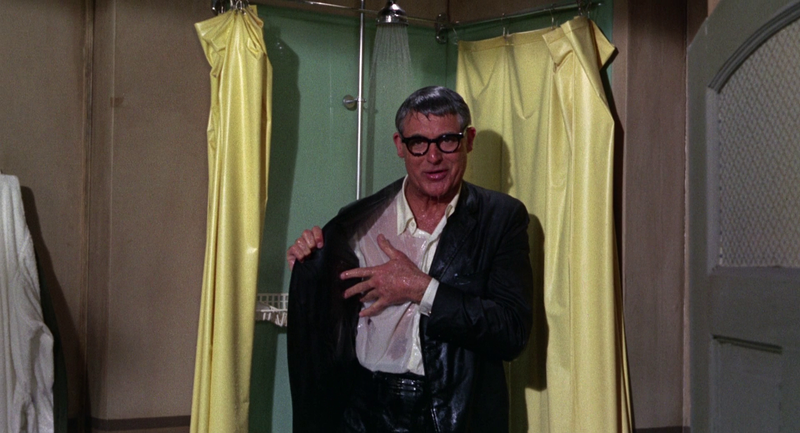 Warm, well written, effective scenography, a brilliant score, and not least an excellent cast, spearheaded by Cary Grant and Audrey Hepburn, each doing his and her best to outshine the other. Also, it is filmed on location in Paris, which was unusual at the time. On the flip side of that copyright coin is the fact that the big companies rarely care about public domain movies. They are hard to make money off, because anyone can go ahead and legally distribute any preserved or restored edition. Such as in this case, where a brilliant Blu-ray copy has been ripped and uploaded to the Internet Archive. In many cases, though, those nice copies never appear. Speaking of copies, a perfect high-resolution Matroska file is available for download, but if 11.5 gigabytes put you off, you can go for the much smaller MP4 (H.264) file. Lower resolution, but still very nice quality. This film is best enjoyed when you are unfamiliar with the plot. This interesting and funny story, with all its twists and corny characters, is a bit too complex to sum up in just a couple of sentences. Besides, it may be better to see it with as few preconceived notions as possible. Just sit back, relax, and allow yourself to be carried away. This is cinematic magic. Legendary directory Cecil B. DeMille made two radically different films titled The Ten Commandments during his long Hollywood career. Featured here is The Ten Commandments from 1923, a spectacular silent drama that is actually two films for the price of one. The beginning of the film consists of a lengthy prologue which tells the biblical story of the Israelite exodus from Egypt. With splendid sets and some very advanced special effects (still impressive today), it starts with God’s tenth plague on the Egyptians and ends as Moses comes down from Mount Sinai. 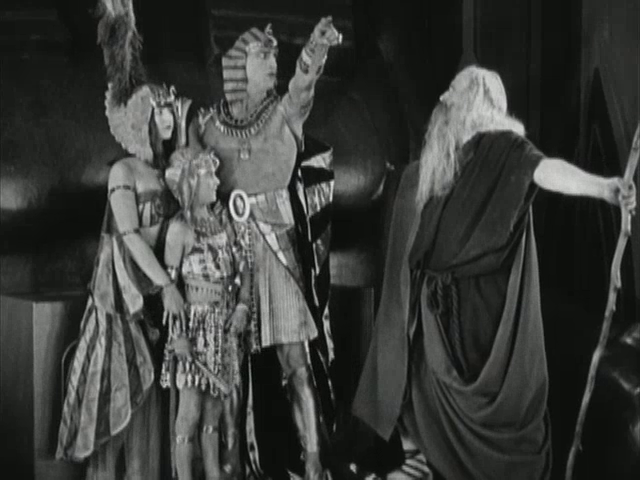 This part is grandiose and majestic, and belongs among the great epics of silent film, but it is sometimes a bit overplayed, not least by Theodore Roberts in the role of Moses. The rest of the film (in itself a normal feature-length film) is a modern-day drama about two brothers who fall in love with the same woman. One is an egoistic atheist who believes in nothing but money and power, while the other is a pious carpenter who lives with their mother and ever strives to do what is morally right. The overly simplistic and moralistic plot is sometimes hard to swallow, but the acting and production values are so good that this is just a minor annoyance. It is difficult to avoid comparing this film with DeMille’s later The Ten Commandments (1956). Both are majestic. Neither is terribly historically accurate when it comes to the depiction of ancient Egypt. The biblical portion of the older film is only about one fourth the length of the later, which in turn has no modern section. But perhaps the bottom line is that either film is an excellent representative of its time and that both deserve to be seen, each on its own merits. This film is best enjoyed for the biblical prologue in the beginning. During fifty minutes, the film is one glorious feast in massive sets, special effects and biblical quotes. The rest is a standard melodrama. Not bad (especially not the actors), but no better than lots of other good silent dramas.